The Revan Kiosk at Topkapi Palace. The pavilion was built in 1635-36 to commerorate the Revan Campaign and victory of Murad IV. It is also known as the Sari Odasi, or Chamber of Turbans, because the turbans worn by sultans were kept here. 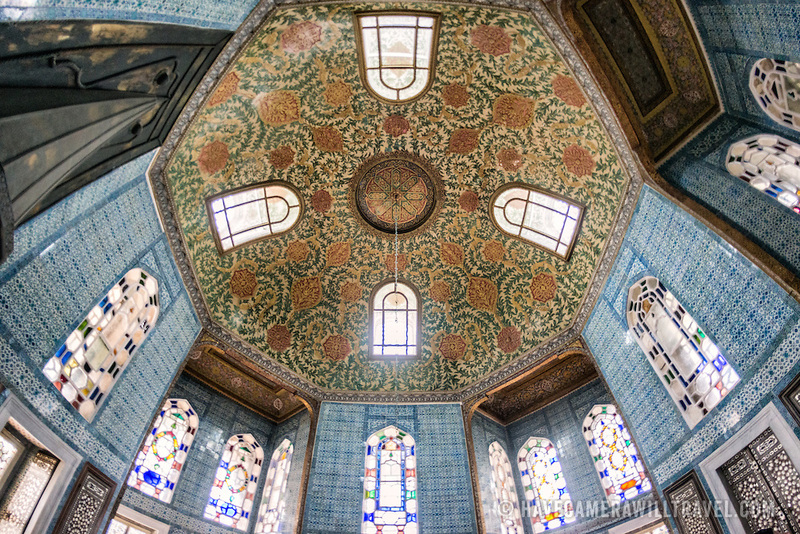 Its colored marble decorations and tiles date to the 17th century. The Imperial Harem was the inner sanctum of the Topkapi Palace where the Sultan and his family lived. Standing on a peninsular overlooking the Bosphorus Strait and Golden Horn, Topkapi Palace was the primary residence of the Ottoman sultans for approximately 400 years (1465–1856) of their 624-year reign.